22 “You that are Israelites, listen to what I have to say: Jesus of Nazareth,[b] a man attested to you by God with deeds of power, wonders, and signs that God did through him among you, as you yourselves know— 23 this man, handed over to you according to the definite plan and foreknowledge of God, you crucified and killed by the hands of those outside the law. 24 But God raised him up, having freed him from death, because it was impossible for him to be held in its power. This morning I was getting stuck. I was getting stuck because the scripture that spoke to me most this morning from the daily readings is a scripture that usually comes quite a bit after Easter. It is this scripture in Acts that we usually read at Pentecost. It is after the death of Jesus and even the Resurrection. The disciples don’t really know what to do until the Holy Spirit rouses them out of their room and out into the world. All of a sudden the church takes off from there. I am always quite moved by Peter’s speech. He uses words from Joel but basically tells the story of Jesus and sets forth a vision of where God is moving, what will be and what could be. Young people can vision and old people can dream dreams. It might look totally off base but it will be of God and wonderful and full of life. So like any good scripture that grabs a hold of your heart, I kept going back to it this morning. I read through the other scriptures and even off of a different site but I kept envisioning this speech. What strikes me is that when we are full of new life and have a vision in mind, it is so exciting and yet looks like nothing anyone has seen before. It seems really really….well, crazy. It might even seem like it doesn’t make sense. Are we drunk at 8 in the morning or are we just full of the Holy Spirit? Hard to tell! When mission calls us, and we have made space for God in a way that allows us to listen, there are times when we just can’t help ourselves but follow that through. I have been feeling this way with our homeless situation. I was talking to a colleague about it all and said to him, “Gosh, I just know that this is the call to where we are supposed to be with people. I can hear it so loudly and yet some people in the community (not the church) are angry and upset.” He replied, “well, then you are probably listening correctly. When we follow mission so closely, we are bound to anger some.” And at the same time when we follow these spaces where we are guided, it seems easy to walk through those doors. The work is hard but the path seems well groomed. 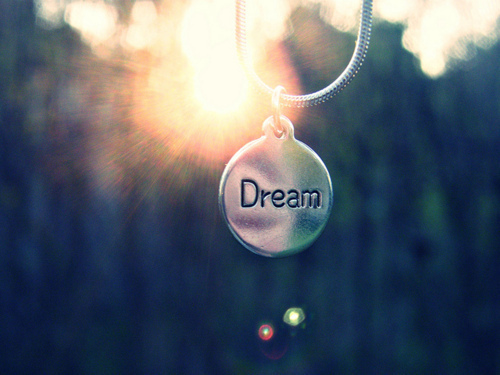 We are able to vision and to dream dreams. Lent is about creating that space. So I have to get over my biblical timeline for a minute to realize that it is still relevant in this journey. Perhaps when it seems the most off base it is so full of God that we can’t help but move.